Last Week’s New Listings, this Week! 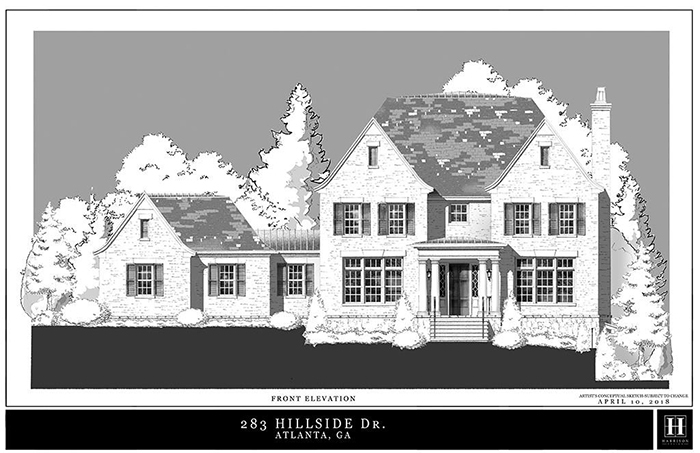 This stunning, like-new home is on nearly an acre in Chastain Park and has fabulous outdoor entertaining space including a lovely brick deck with fireplace and a covered stone porch overlooking the large backyard. The home has high ceilings, wide hallways, oversized rooms and gorgeous marble and limestone. The chef's kitchen features Viking appliances and a breakfast room that opens to the spacious keeping room with vaulted ceilings and heavy beams. 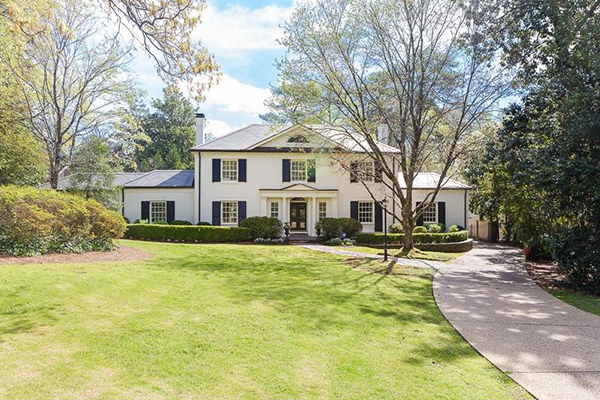 This is a classically beautiful Buckhead home, renovated and expanded to perfection. The slate roof, copper gutters and stone walkways give it timeless curb appeal. The master on main is stunning with an amazing barrel ceiling, gas fireplace, luxurious bathroom with separate his and hers baths and closets, heated floors and a large marble shower. The gorgeous flat backyard has a stone fireplace and a large bluestone patio that flows seamlessly to artificial turf lawn with putting green. This is a gorgeous, country-style home exquisitely executed by architect Bill Edwards and designer Alice Cramer. It is on a quiet cul-de-sac at the end of a private road. 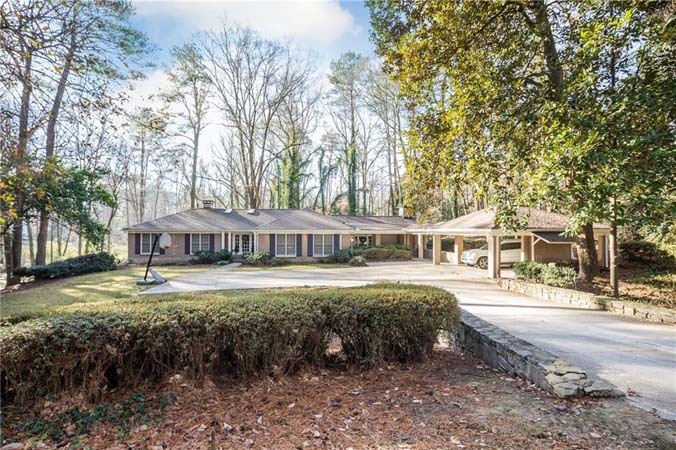 The 2005 renovation includes beautiful hardwood and brick floors, keeping room with cathedral ceilings, top-of-the-line kitchen with sun-filled breakfast area, butler’s pantry, fireside dining room and charming screened porch. The terrace level is finished and includes a gym and a media room. 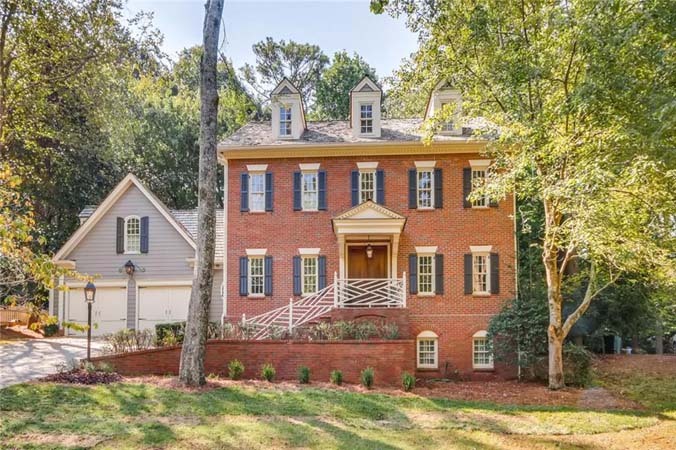 This is one of the oldest and most charming homes in prestigious Ansley Park. 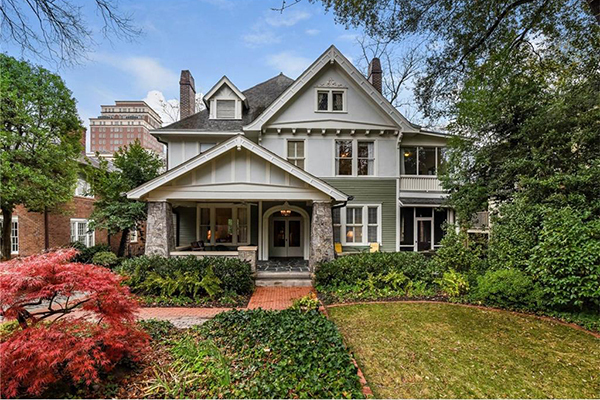 Built in 1905, this grand dame is nestled beneath the Midtown skyline and is within walking distance to Peachtree Street, the High Museum, the Atlanta Symphony, MARTA, Beltline and Piedmont Park. There are many original architectural details including seven working fireplaces, 12-foot ceilings, leaded glass windows and pocket doors. It has an expansive master suite with fireside sitting area as well as huge secondary bedrooms. 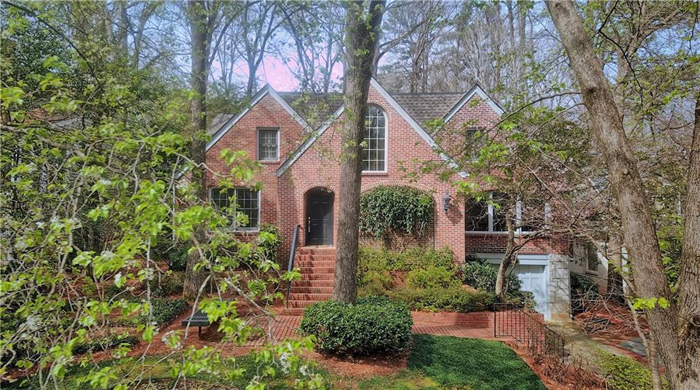 This spectacular contemporary in Sherwood Forest is walkable to Peachtree Street. It is a custom renovation led by architect Joel Kelly and Cablik Enterprises, giving priority attention to luxury and function. It features an open floor plan, soaring ceilings and skylights that provide abundant natural light for easy living or entertaining. The kitchen is ultra-modern with quartz countertops and Bosch appliances. The large master suite is on the main floor with a stunning bathroom and dual walk-in closets. This is an elegant home with old world charm and great natural light. 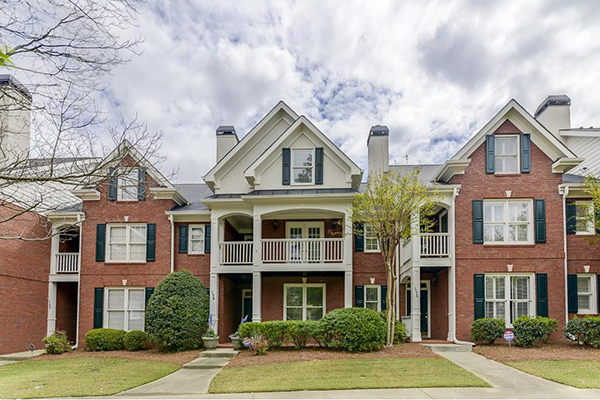 Features include 12-foot ceilings, marble foyer, four fireplaces, hardwoods on main, arched doorways and transom windows. It has a formal dining room and a spacious living room with built-ins and French doors that open on to the back deck. The large kitchen features granite counter tops, breakfast area, butler's pantry and ample cabinets for storage. The master suite has a fireplace, double vanity, separate shower and walk in closet. This charming Morningside home features an entrance foyer leading to spacious formal living and dining rooms. It has a renovated kitchen with a breakfast room that opens to the large family room, the perfect casual entertaining space. The family room has French doors that lead to a deck and large back yard. The sunroom is great home office or perfect playroom. The master suite is upstairs and has a white marble master bath plus two bedrooms and hall bath. 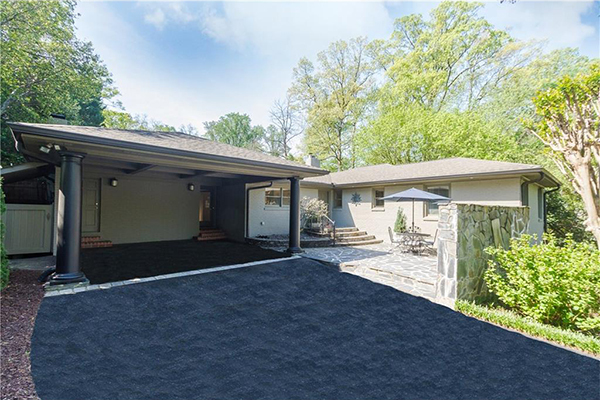 This is a renovated four-bedroom, three-bath home in popular Argonne Forest, with an open kitchen and family room filled with natural light. It has a great deal of entertaining space in the dining room and large living room with fireplace. The living room overlooks large front yard. There are hardwood floors and crown molding throughout the main level. It has a guest bedroom, bath and playroom/den on the terrace level. 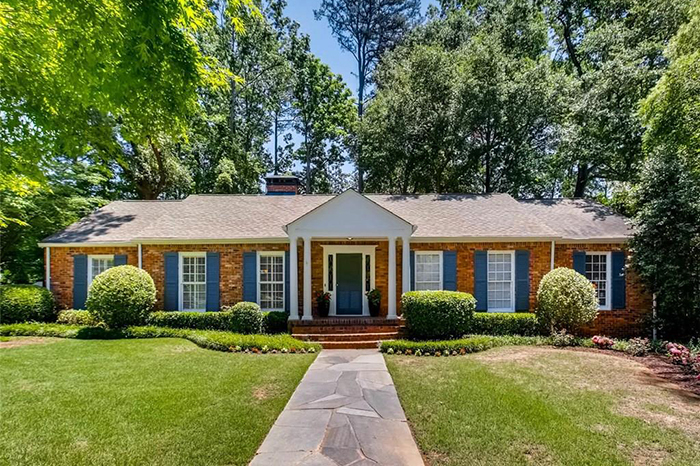 This charming renovated brick traditional is in sought after Garden Hills and features a sizable formal living room with fireplace and plantation shutters, a formal dining room and a separate family room. 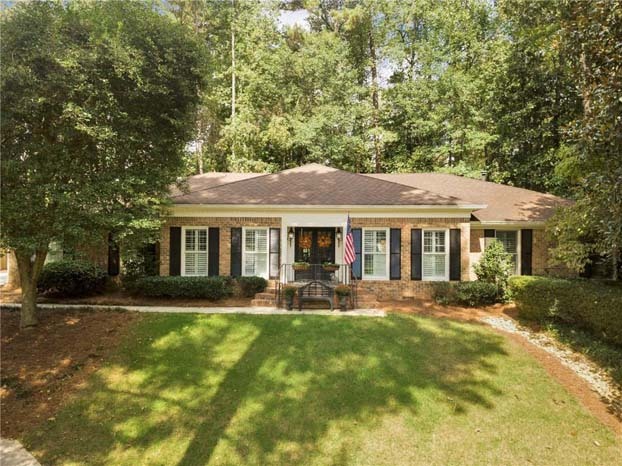 It has an updated kitchen with classic white cabinets and stainless steel appliances, which opens to incredible oversized screened porch with sweeping views of the private back yard. The master bedroom is upstairs with nine-foot ceilings and a spa bathroom. 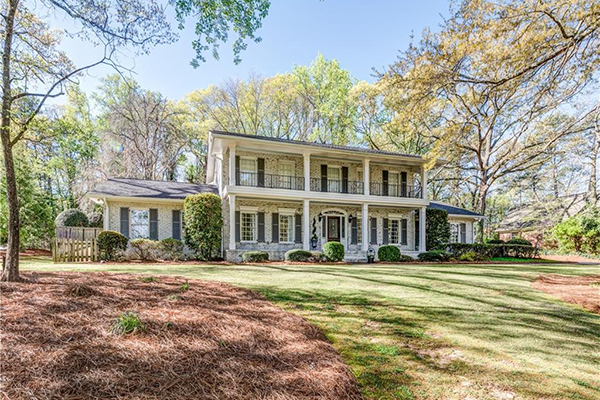 This classic southern home boasts a fresh exterior with double front porches and antiqued whitewash brick, renovated kitchens and baths, a finished basement and a fenced-in backyard on a cul-de-sac lot. The gorgeous open floor-plan is perfect for entertaining. The main floor has a guest room with full bath. The master suite has built-ins, trey ceilings, his and her walk-in closets, master bath, large shower, double vanities, large windows and doors to an outdoor patio. This incredible end unit has a renovated master-on-main and a second master bedroom upstairs. The kitchen has been renovated and the basement is finished. It has a private outdoor living area off of the kitchen. 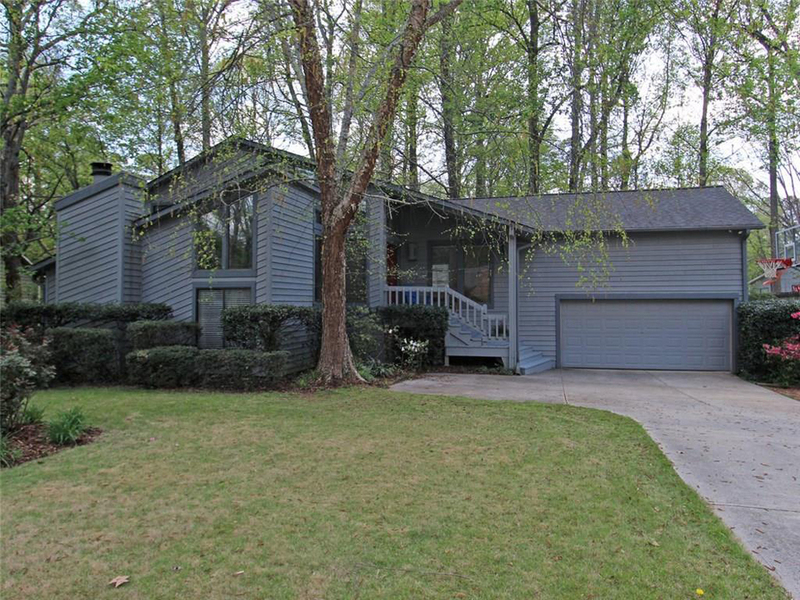 The home is in very good condition and includes a private rear deck. 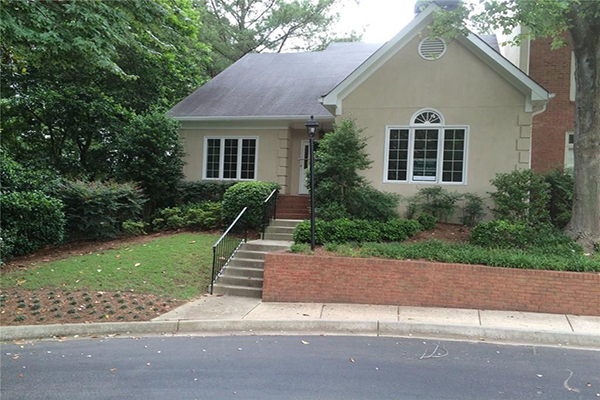 Charming two-bedroom, two-bathroom plus office is in everyone's favorite neighborhood, Peachtree Hills. It has a large driveway for easy access and plenty of parking. The garage has been beautifully converted in to a home office. The home has a small, private, fenced-in backyard with lush landscaping and a water feature as well as a screened in back porch. There are hardwood floors throughout the home and his and hers closets in the master bedroom. 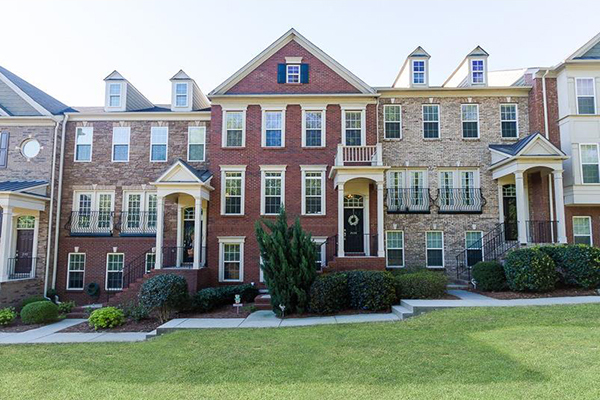 This charming John Weiland Brick Fee Simple Townhome is in quiet setting. With fresh paint throughout, hardwood floors and 9-foot ceilings on first floor, it has a great room with built-ins, a fireplace and overlooking a courtyard. The white kitchen has Carrara marble counter tops and white appliances and opens to the dining area. There is a small fenced-in patio and a one car garage. The master is on the second floor and has vaulted ceilings, a walk-in closet, and a white bathroom with a clear glass shower door. 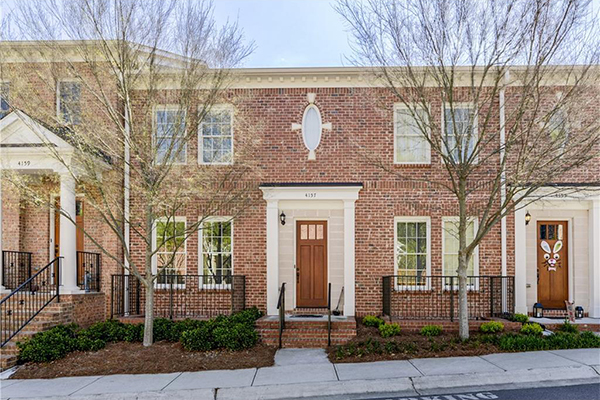 This stylish brick townhome in Preserve at Fischer Mansion has a foyer that opens to the dining room, with crown molding and hardwood floors, a gourmet kitchen with stain-grade cabinetry, granite counter tops, stainless steel appliances and a marble backsplash. The kitchen overlooks the family room with a gas fireplace and built-in bookcases. The master suite is upstairs and features a large bathroom. This beautiful family home is on an interior cul-de-sac street in Arbor Creek. 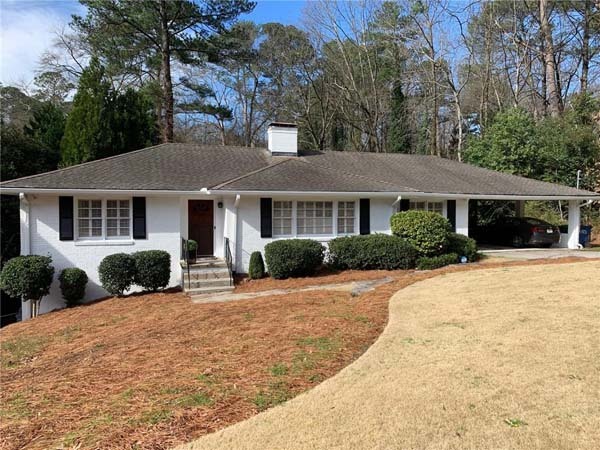 It has all new hardwood floors on the main, renovated kitchen with granite and stainless steel appliances, breakfast bar, breakfast room, open fireside family room, formal dining room and separate living room/office. There are four bedrooms upstairs including large master suite with tray ceilings. The bath has double vanities, jetted tub and a walk-in closet. The front yard is flat and there is a private walkout fenced-in back yard with patio and pergola. 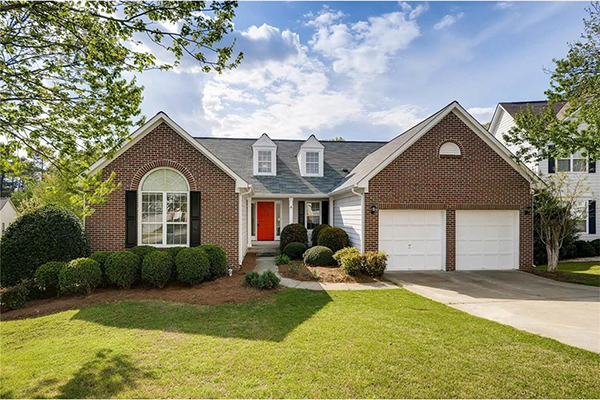 This is a turn-key and move-in ready home in sought after Indian Hills. It features a charming front porch, a light, bright and open floorpan and has exposed beams and stone hearth fireplace in the family room. It has solid oak hardwood floors, a chef’s kitchen with stainless steel appliances, granite counter tops, a coffee and espresso bar, and the kitchen opens to the keeping room. There is a large deck and a private, fenced-in backyard. 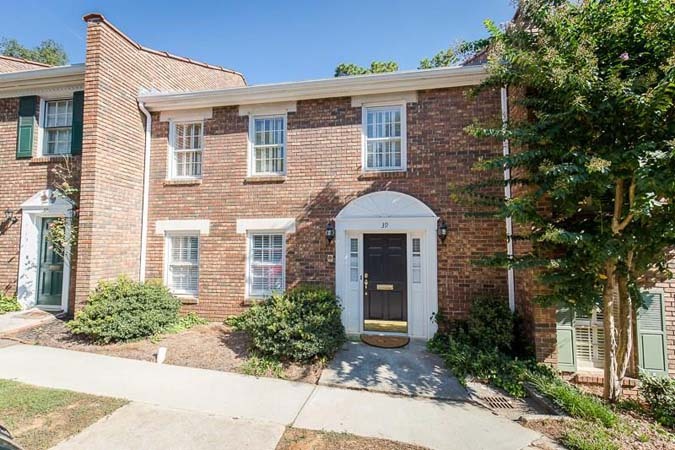 This appealing townhouse is in best location, the wildly popular, sought-after Olde Ivy Square. It features a dining room with seating for up to ten, a convenient kitchen with generous cabinets that opens to the great room, which goes across width of the unit. It has a wood-burning fireplace and French doors that open to a cozy, enclosed patio for relaxing and planting. Beyond the patio is a private area for a small, colorful garden. It is a very private space. The large master suite and guest room and bath are upstairs. 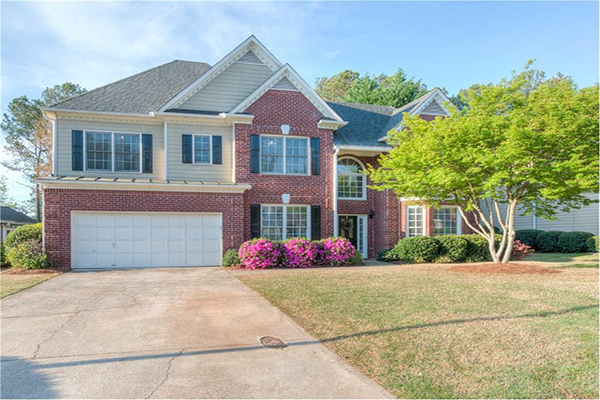 This stately, meticulously maintained home is in Smoke Rise. It has spacious formal rooms, including formal living room or office and dining room. Beautiful natural light abounds throughout the house. It has a large family room and sunroom overlooking a backyard oasis. White, bright kitchen with breakfast room offers a view of the back yard. Master suite plus three bedrooms, one bonus room and a large hall bath are on the second level. 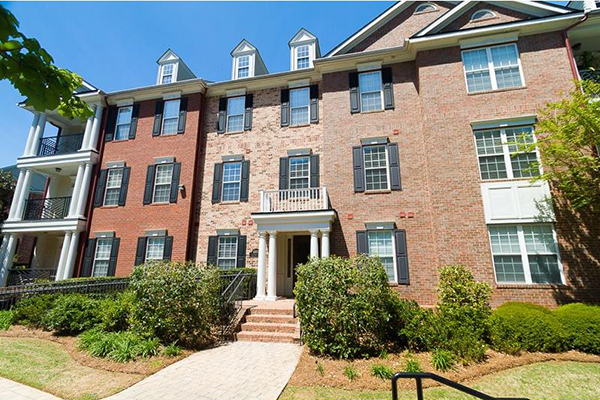 This like new townhome has high-end finishes and convenience with great amenities. It faces a spacious community green space. There are hardwood floors throughout. The chef's kitchen features tile back-splash, granite, pantry, gas cook top, as well as stainless steel appliances and plenty of storage. There is a deck off the kitchen. Crown molding and wrought iron banisters are a few of the additional upgrades. The master bedroom has trey ceiling, separate spa-like tub/shower and a large walk-in closet. This immaculate condo is in John Wieland's Olde Ivy. It has tons of space in the open floor plan. The gourmet kitchen has stained cabinets, stainless steel appliances and granite countertops. It has an awesome great room with built ins, hardwood floors and gas fireplace. It has two bedrooms and two bathrooms with possible third bedroom or office. The Master suite features a large walk-in closet, elegant bathroom with double vanities, separate shower and jetted tub, ceiling fan and deck access. This is a charming, renovated five-bedroom, four full bathroom ranch style home with wonderful in-law suite on the terrace level with private entrance on a quiet cul-de-sac. 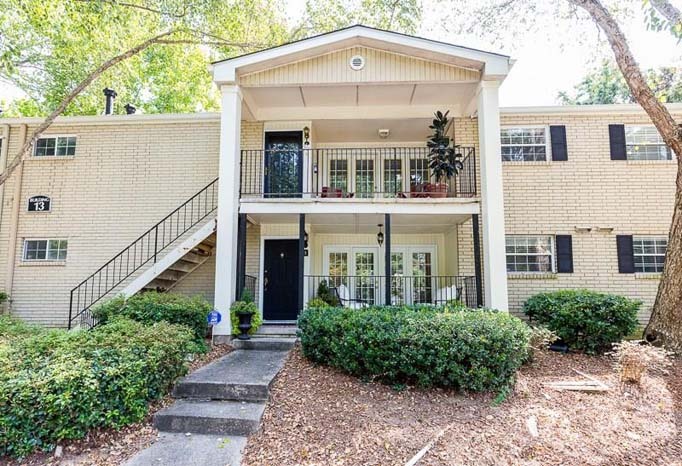 The main level has three bedrooms and two baths, a cook's kitchen with granite counters, backsplash, all new stainless steel appliances, original hardwood floors and all new carpet and interior paint. The guest room on second floor has a full bath and loft area. The terrace level has full kitchen, bath and bedroom with walk-in closets. 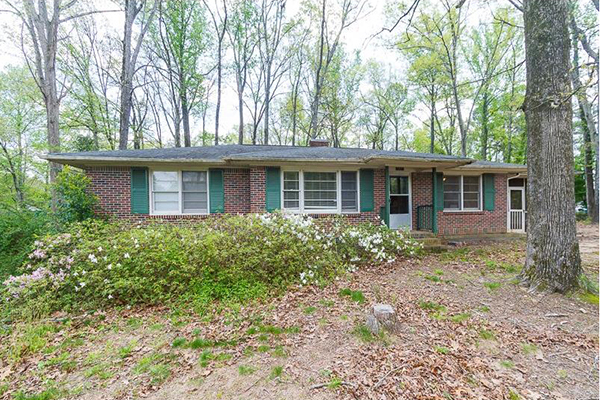 This brick ranch is situated on a large private wooded lot, fenced backyard and plenty of room to enjoy nature just minutes from downtown Powders Springs and its parks and shopping and easy access to interstate/highway. The fireside family room and dining room have hardwood floors and both rooms have an abundance of natural light. The huge, private master bedroom has a window seat and access to private deck.